This limited edition 7″ is born out of Dreadsquad's massive remix of the Damian Marley and Skrillex combo Bun dem and is his first release on Scotch Bonnet. It has collector's item written all over it even before we say it features 80s cult hero Everton Chambers and is the only track on this riddim to get pressed on vinyl and it features an exclusive dub mix on the b-side. 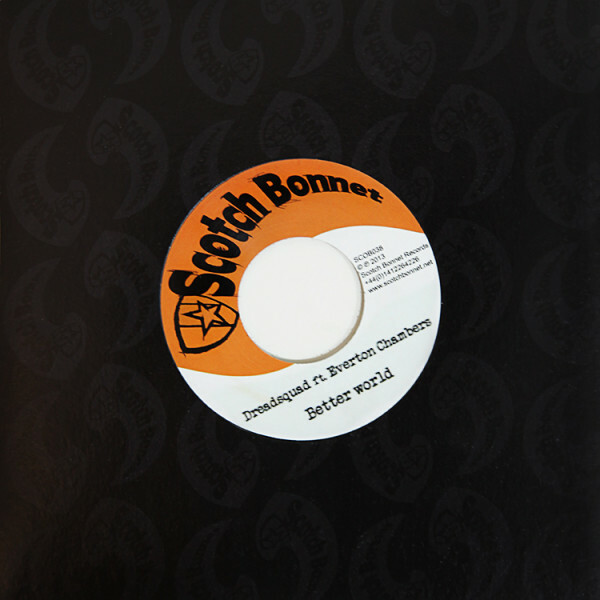 This limited edition 7″ is born out of Dreadsquad’s massive remix of the Damian Marley and Skrillex combo Bun dem and is his first release on Scotch Bonnet. It has collector’s item written all over it even before we say it features 80s cult hero Everton Chambers and is the only track on this riddim to get pressed on vinyl and it features an exclusive dub mix on the b-side.